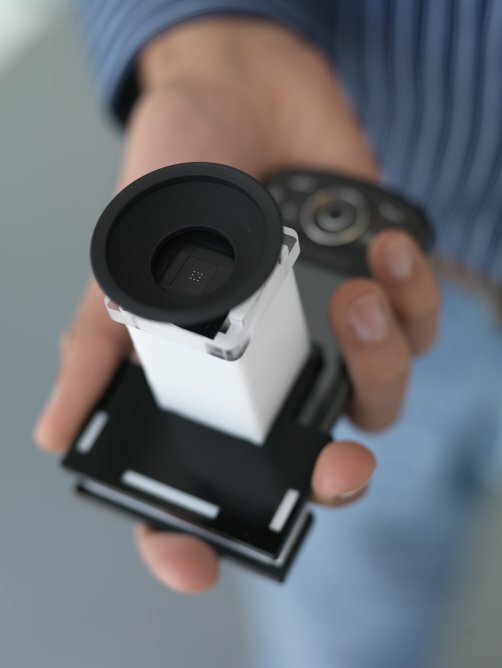 Tech Center: Netra lets you tests your eyes through a mobile phone. Netra lets you tests your eyes through a mobile phone. To get your eyes checked you have to take an appointment go visit the optometrist and then go through a series of test. All the equipment involved like an Aberrometer in the test costs a lot. Poor countries and civilizations cannot afford it and are therefore deprived from quality vision. But now the function of the Aberrometer has been shrinked to just a small lens device and a smart phone screen. A team at MIT media labs consisting of Ankit Mohan, Manuel M. Oliveira Neto, Vitor Pamplona and Ramesh Raskar have come up with an amazing prototype device and a software which lets to detect the power of refractive errors in your eye anyplace anytime. The whole system consists of three things, a plastic device consisting of a lenses, a mobile phone and a software installed on the cellphone. The plastic device is clipped to the cellphone screen. Then the patient looks through the lens to see a pair of parallel lines, now the patient has to press the arrow keys until the parallel green and red lines seem to overlap. This is repeated 8 times with different angles for each eye, the software comes up with prescription data. The devices has no moving parts and hence no maintenance. The software is based on a technology called Bokodes which was developed last year which helps to store a large amount of information on a tiny square code. In the end its still a prototype and still in its test phase for accuracy. It costs as low as 2$, with mass production it would cost even less. But in the end checking your eye sight is not something you do very often. Forget buying it for personal use. Anyone would rather prefer going to the doctor, it could rather help you judge if you really need to go for an eye checkup. But as i said earlier its good for the really backward societies of the world who don't has access to eye care clinic etc. 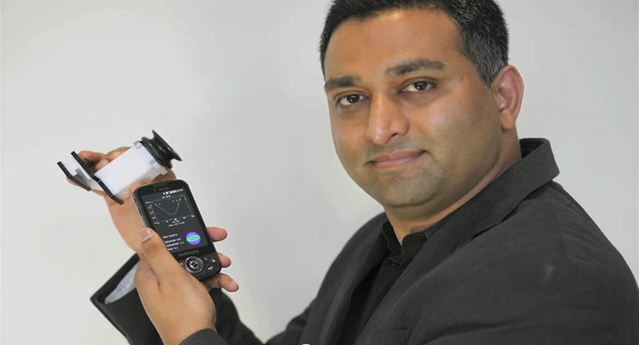 Its portable and could just help doctors distinguish people with good and poor eyesight in mass eye checkup drives etc. Every technology has its own application some come up in the future in a weird way ,who would have ever though bokodes would help create a portable eye checking device (Netra) so you never know where this might end up.